A true 'Rhum Agricole' produced only from purest sugar cane juice. 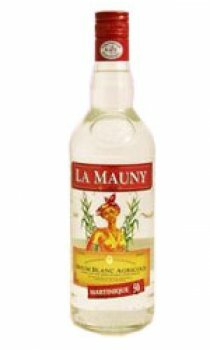 La Mauny white rhum has a light delicate fruity aroma like the smell of freshly cut sugar cane. I find this rum to have a great freshness about it, having different levels of flavour which release at timed intervals! I and trying to build up my stocks of rum and have one high quality rum of each type - this one wins in its category.